This Week: #ObserveMe, Visualizations, and Teachers as Super Heroes, errr…Content Builders. Join Gail Burrill tonight for Reasoning from Definitions & Theorems: An Important Calculus Practice. The AP Calculus Course and Exam Description includes the Mathematical Practices for AP Calculus. One of these practices is reasoning with definitions and theorems, calling for students to build arguments, justify conclusions and confirm results, verify assumptions before applying a theorem and produce examples and counter examples. The session will explore what this looks like in calculus and consider what should students encounter in second year algebra and precalculus in order to be prepared for implementing this practice in calculus. RSVP here. Highlights from last week: 6 Hand Signals that Bring Learning to Life! The research-based practice of making thinking visible with non-verbal signals elevates the level of student participation in elementary classrooms. How can signals be used to even greater purpose in the math classroom to build problem-solving stamina, develop students’ ability to describe patterns and make conjectures, and aid teachers in assessing student learning? We considered the impact of several powerful signals in the present-day elementary math classroom. Missed it? Get the recording here. Constructive feedback is so important for growth, which is why I think the recent #ObserveMe movement has been so great. It is awesome to see so many teachers all over the place opening their doors to their peers. Here’s a photo posted by @nate_bowling which pretty much sums things up; it’s been “…better than any evaluation of my career,” according to Nate. Various tweets and blog posts have been written revolving around this topic, but two recent math-related posts stick out to me. The first is by Jennifer Bell (@jkjohnsonbell) and she had the brilliant idea of focusing her observations on Number Talks. What a great idea to hone in on just a specific practice for this! She goes into nice detail on her feedback from the MTBoS, her peers, and math coaches all revolving around Number Talks. Dylan Kane (@math8_teacher) shared some compelling thoughts the other day about this, as well. Both of Jennifer and Dylan mentioned something to the idea that peer observation tends to be encouraging, but often lacking of any real feedback that will lead to improvement. It seems that what Dylan has found most useful has been student feedback that he gets via Google forms. He has categorized areas in which students are to give specific feedback, and it really looks like it’s working. The students have been honest and given real things that he can take and use right away. A big takeaway for me here is that I should be looking for feedback wherever I can get it. The feedback we get from various types of people (fellow teachers, other math teachers, MTBoS, coaches, or our students themselves) will all give us useful insights from different perspectives which can be put together as a whole in a powerful way to move us forward. PS – I just thought of another stakeholder here – parents. Have any of you utilized parents in a positive way to help your teaching? What would that look like? Imagine getting into the driver’s seat of any modern day vehicle. Chances are really good, you can adjust the seat’s height, backrest, and its distance from the pedals. Now imagine getting into a vehicle manufactured back in the 1960s or before. Chances are slim those same adjustable features don’t exist. I ask you to picture this scenario because we live in two worlds: a world designed for adjustability (modern day car) and a world designed on averages (vehicles before 1960s). Sam’s post reminded me of Todd Rose’s great TED talk “The Myth of Average” where Todd explains the reasoning behind adjustable seats and how this might translate to education. Check out Sam’s post and Todd’s TED talk. Both are winners! In an ignite talk at the 2016 NCTM annual Meeting and Exposition, Max Ray-Riek warned of the risks of getting all your lessons from blogs (coherence, alignment, and consistency). But he also highlights why reading about and getting lessons from blogs feels like a successful endeavor for teachers across the country. You get a first hand account of the teacher who not only created the lesson, but how they used it in their classroom. So, in order to heed Max’s sage advice, I will not encourage everyone to throw away their current expensive curriculum mandated by their district. Instead I will just list some teacher creators who are sharing lessons they’ve created and some first hand accounts of how they used them in their classrooms. 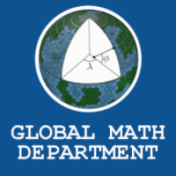 Carl Oliver and Kristin Gray recently made Desmos activities through teacher.desmos.com. Carl teaches high school and Kristin’s lesson is for kindergarteners. That’s pretty cool, in my opinion! The best part is, both of them asked and received feedback on their lessons from other teachers through twitter. Graham Fletcher just posted how 3-act tasks are used in the elementary grades. If you’re interested in trying one out here are some from Graham, Kendra Lomax, and me. Simon Gregg recently wrote about how he uses Cuisenaire Rods. These fantastic manipulatives can be used for a variety of mathematical content as well as a sense-making tool. Also if you haven’t heard about Open Up Resources, then you don’t follow me on twitter! Many teachers from the #MTBoS have been recruited by Illustrative Mathematics to develop an open education resource curriculum for the middle grades! Finally, let us know how you are creating or using teacher-created content! See you on the interwebs! Join #SwDMathChat every 2nd and 4th Thursday of the month. The next chat is on October 27th at 9pm EST on Contemplate then Calculate in SpEd. If you’d like to guest moderate a chat, sign up by clicking the button below!